The Melton family lived on Corralitas Drive and owned a market on Fletcher Drive between Riverside Drive and the Los Angeles River. The Meltons had an orchard in their Corralitas backyard, where they grew avacados and fruit to sell at the market. 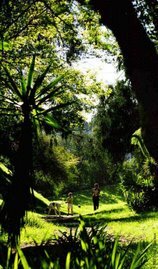 A neighbor who grew up on Corralitas used to water the trees when the Meltons were on vacation. The market stood where the 5 Freeway now cuts through our neighborhood. 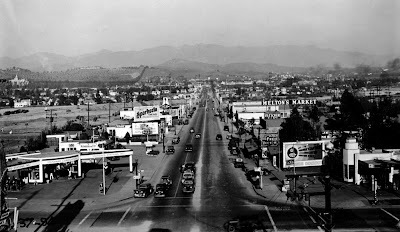 Also in the photo above, the gas station on the right is now Rick's Restaurant. The Standard Gas Station on the left is now a much less stylish Chevron Station.